Hi everyone! Hope you are having a fabulous start to the weekend! Ever since I got married, I have been trying to like ground turkey. My family never prepared anything with ground turkey but my in laws prefer it over ground beef. 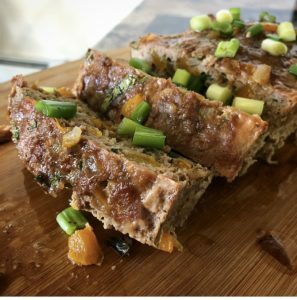 I know that it is leaner and overall better for you so I gave it a try and wasn’t really loving it till I made this meatloaf. In this case, the ground turkey worked beautifully because it is lighter than ground beef. It was moist; not dense and took on the flavors of the seasonings and veggies so well. Did i mention that it is super simple to prepare? Just throw it in the oven and forget about it! 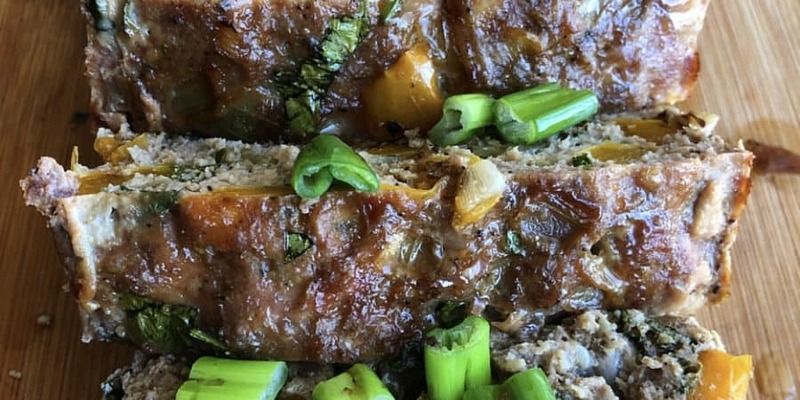 Also, this meatloaf has no breadcrumbs which its bonus points for being healthier. Drizzle some olive oil in a pan on medium heat, add the onion, bell pepper, and garlic. Saute for a few minutes till onions become translucent. Season with salt and pepper. In a bowl, add the ground turkey. To that, add the egg, coconut aminos or balsamic and all the seasonings. Once the above mixture is cooked and cooled to room temperature add it to the turkey as well. Mix it all together and add the mixture to a greased loaf pan. Bake for 1 hour and 30 minutes. Half way through baking, take out the load and remove any excess liquid on top and place back into the oven. Once done, take out and drizzle some balsamic vinaigrette on top of the loaf. Allow to slightly cool and slice the loaf. Garnish with the green onions. Enjoy! Previous Post My Weight loss Journey: Part I.